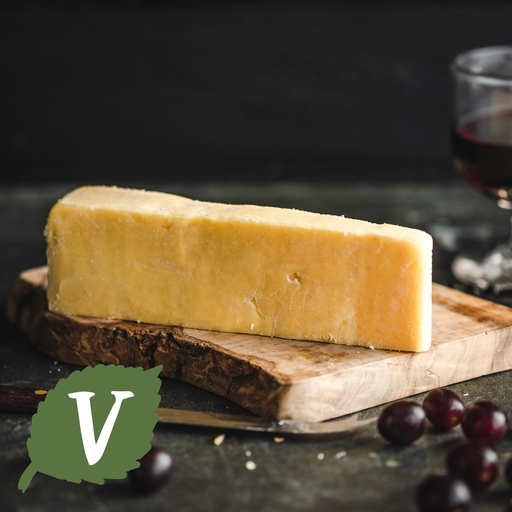 Rich, full-bodied organic farmhouse cheddar made by the Green family in Somerset – the land where cheddar began. Produced from pasture-fed cow's milk, cut and turned by hand, and aged on the farm. It has nutty top notes and a lingering sweet, earthy finish that’s set off well by slices of crisp apple or a dollop of chutney. Prefer something stronger? Try Greens of Glastonbury’s vintage cheddar. Pasteurised cows' milk, salt*, starter culture, vegetarian rennet.